Location is ONLY 1½ hrs Drive North of Glasgow/Edinburgh and 2¾ - 3 hrs from Inverness! £2,237 raised for Arrochar Mountain Rescue, thanks for drinking and donating. 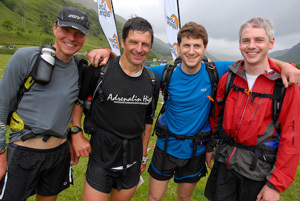 Over the weekend we have tried to give you some insight into the 2010 event, but in the course of writing the live reports we also heard a few other stories and news snippets that we just didn’t have time to write up. So here in no particular order are a few more items that might be of interest. So, onto the prize giving. Competitors did rally around and managed to drink a further two barrels of beer on Sunday afternoon in the run up to the prizegiving. 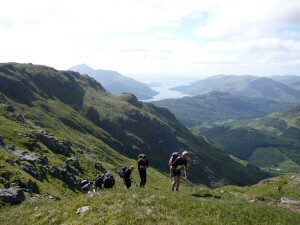 This raised the total money towards the new Arrochar Mountain Rescue Land Rover to over £2,000. The beer certainly added to the atmosphere around the finish and although the weather had been a little grey and drizzly, as is traditional at the LAMM there was an excellent turn out of competitors to offer applause both to their victorious comrades and to the team responsible for putting together the event. And amazingly, just as things got underway, the weather improved and there was even a little sunshine (I distinctly remember). Saturday has been a glorious day, sunny, but with a light breeze and some cloud cover. In short, perfect for running. As I write, exactly 12 hours have elapsed since the first teams set out at 7.30, but others started as late as 10 a.m. At the moment 19 teams are still unaccounted for, however, that is about normal. Some may have retired but probably a few more will arrive at mid-camp over the next hour or so. In fact an elite team has just arrived. Team 264, Graham Kirby and Gordon Kennovin in a time of 10 hours 1 minute. That is just a few minutes shy of 4 hours after the course leaders, and pre-race favourites the Symonds brothers, but still a great performance. Saturday photos and courses and planner's routes now online. The 2010 LAMM has started and all of the competitors are out on the course. A development for this year is to have all controls for all courses plotted on the map as unlabelled circles. Once runners pick up their controls for the day they then simply need to connect up the appropriate circles on the map rather than having to plot the entire course from scratch. Not only will this save everyone a bit of time, but it will also spare the few teams that always manage to transpose important digits in a grid reference each year from a lot of wailing and gnashing of teeth. Competition map now available online. Some photos from early Friday evening. 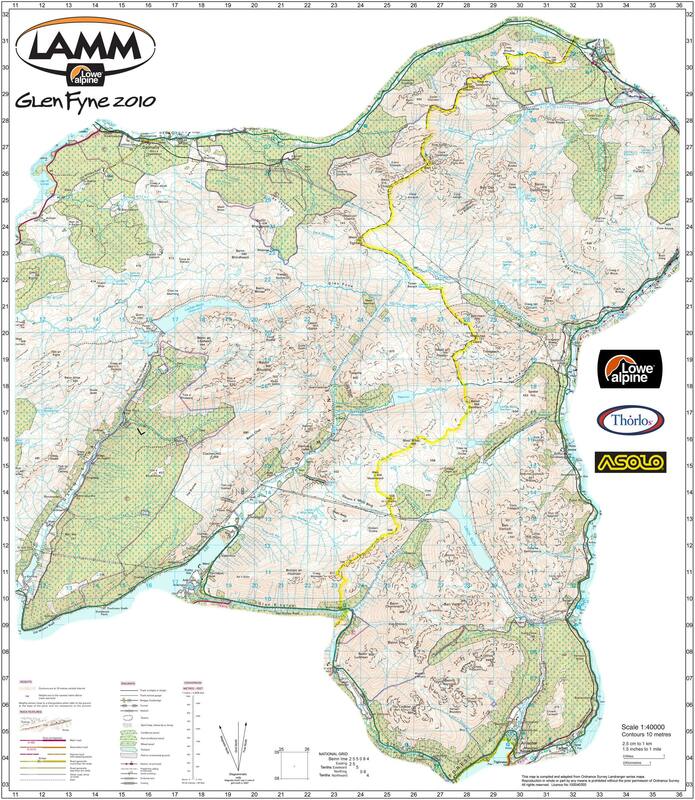 Competitors are assembling at the head of Loch Fyne, a stone’s throw from the famous Loch Fyne Oyster Bar. And the really good news is – the beer has arrived. 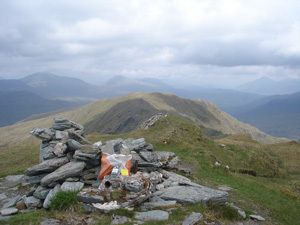 The event will take place at the head of Loch Fyne. Take the A83 road towards Inveraray and turn hard right immediately after you cross the river at the head of the loch. You'll see a yellow LAMM sign. Give plenty of warning as you slow down because it is a fast road. Have a safe journey. We look forward to seeing you from 3pm onwards. The Event Centre is here. Please read the Final Details. 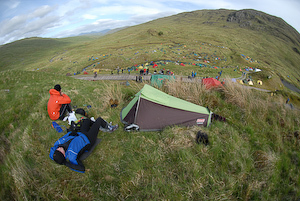 There is no accommodation available in the immediate vicinity but it would be worth looking a little further afield at Cairndow, Inveraray and Arrochar if you don't wish to enjoy the convivial atmosphere on the Event Centre field. There may be very limited accommodation offered at the LAMM Information Desk. A short stroll from the top of the Event Centre field will bring you to the Tree Shop Cafe and Loch Fyne Oysters. The cafe, gift shop and garden centre is staying open specially for us until 20:00 on Friday and the cafe team will be offering soup and pasta dishes. Mrs Tuggy Delap owns Achadunan Estate and the micro brewery at Achadunan, just across the river from the Event Centre. She has very generously donated 8 barrels of beer, to be consumed on Friday night and on Sunday. 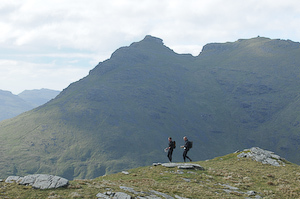 After 16 years, the LAMM is back on Arrochar MRT's patch and the team will be turning out in force. They first spotted the LAMM in progress in its first year and have helped us ever since. When you draw your pint of beer, we'll ask you to make a donation to the team. We're trying to help them raise valuable funds for a new Land Rover. Please give generously, especially on your first pint. 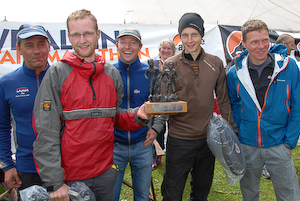 Soon after you cross the finish line on Sunday, we'll give each one of you a commemorative bottle of Fyne Ales Avalanche beer with a specially commissioned LAMM 2010 label. Please take these home with you and don't drink them at the event. 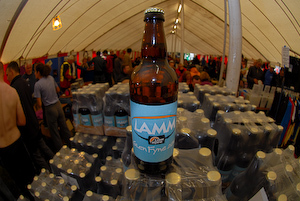 There will be some additional LAMM Avalanche bottles available in return for a donation. As you drive off on Sunday, you can also drop in at the brewery shop to purchase some more mementos of LAMM2010. This world renowned local business is only 400M from the Event Centre. You'll be given a voucher at registration - 10% off in the farm shop. Here's the restaurant menu. 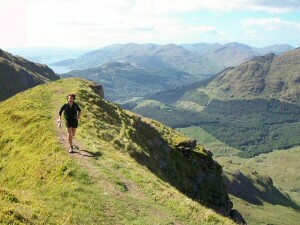 You'll be spending much of the weekend running across the 12,000 acre Ardkinglas Estate. While you're in the area take the chance of visiting Ardkinglas Woodland Gardens at Cairndow. Not only will you see the tallest tree in Britain but the rhododendrons and azaleas are at their best. Admittance fee £3.50. .Well, dont believe any of that as the area has some well known classic hills; enough Munros to keep any bagger happy (and possibly even route choices that will allow you to bag some summits); a mixture of steep rocky slopes and faster gentler, grassy hillsides; there are steep sided glens, that might remind you of the north-west, but youll also be crossing wider, more open glens. And as for forests, there are some on the map, but youll hardly touch them. You might think youll miss looking down to of the sea lochs of the north-west highlands as in previous years but, with the good weather weve planned for June, the views from the high points of this area will be just as outstanding. The mid-camp is very interesting. You will definitely not be spoiled by manicured grass like at Loch Arkaig (2008) or Glen Lyon (2007). This one is back to basics being in a much higher, remote and rougher area - a real mountain campsite (but we do hope to airlift in some portaloos!). Of course, starting from nearly 400m on day 2 you should have the advantage that day 2 will be all downhill  though, if you believe that, youll believe anything! So the only way to know what to believe is to give it a go. You wont be disappointed.